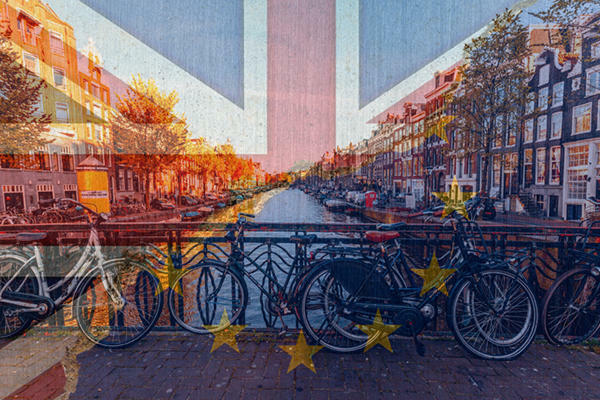 The pending exit of the U.K. from the European Union is sending Amsterdam’s housing market for ride. Concerns over the uncertainty of Brexit has led dozens of companies to leave London, and companies that relocated to Amsterdam have created 2,400 local jobs and also put significant pressure on the city’s tight housing market, Bloomberg reported. The median sale price of an Amsterdam home surged 80 percent over the last four years to about $503,000 and frequent bidding wars force potential buyers to start making offers for properties initially priced about 20 percent below their budget limit. One bank, ABN Amro Group, has a 10-person Brexit team stationed at Amsterdam’s airport to pitch mortgage loans to potential homebuyers arriving on flights from London. Metropolitan Amsterdam needs an additional 40,000 homes to meet the incoming demand, which officials expect to continue, according to consulting firm Capital Value BV’s estimate.